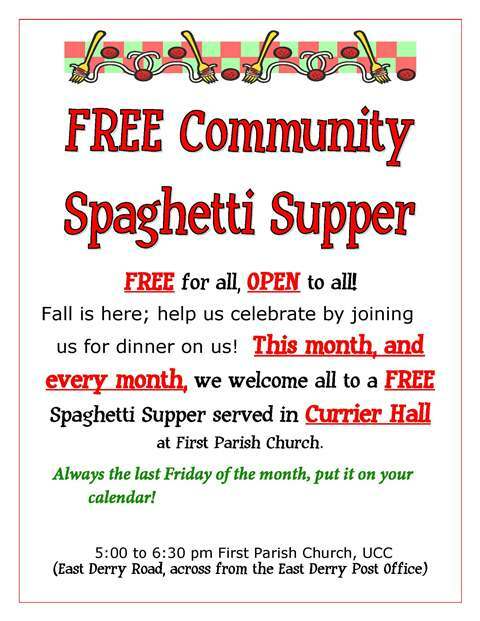 Spaghetti Suppers are held the last Friday of every month. Suppers are free and open to the community. We serve anywhere from 75-120 meals each supper. The meal offers a generous portion of spaghetti with tomato sauce, meatballs, green beans, garlic bread and dessert. In the summer months June-August, we offer fresh garden salad. More than that we offer a setting for fellowship, sharing joys, hardships, encouragement, comfort and thanksgiving in a relaxed and non-judgmental atmosphere.